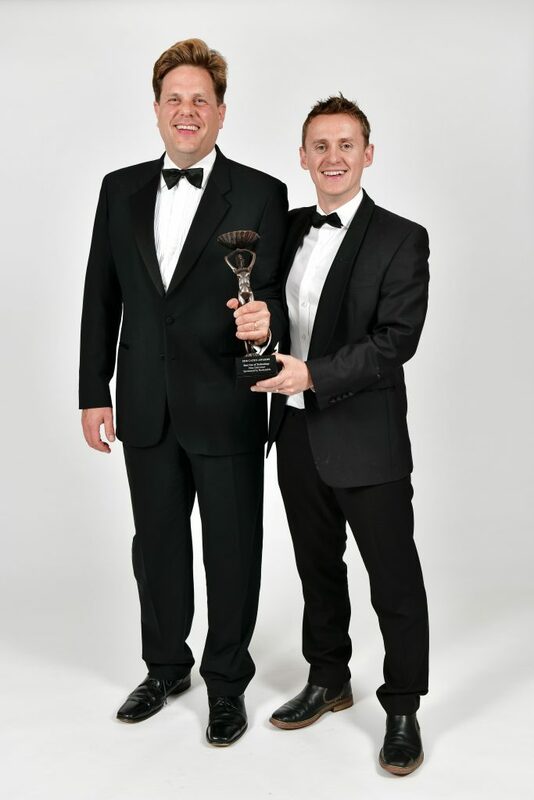 Dine Delivered Win at the Catey Awards! 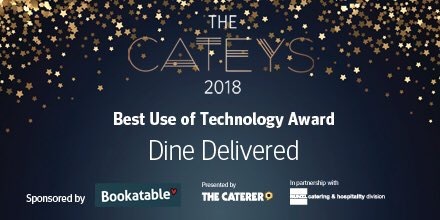 Dine Delivered in the category of ‘Best Use of Technology’ and Dine was shortlisted for ‘Best Foodservice Caterer’ – both huge categories with some pretty tough competition! 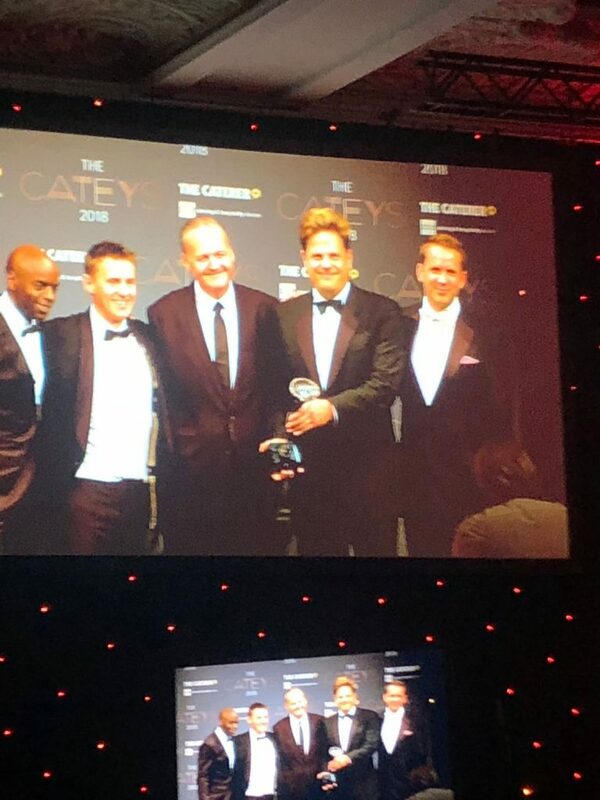 It’s the night that everyone in Hospitality looks forward to throughout the year – The Cateys, and Dine and Dine Delivered were both shortlisted. Held this year at the magnificent JW Marriott Grovesnor House in Mayfair, Daniel, Matt and Chef de Partie, Phil donned their smartest black tie attire to attend. The dining room set for 1,250 looked utterly splendid, as was the menu (of course – what a tough crowd to cater for!) and the night most certainly didn’t disappoint. With DJ Trevor Nelson hosting, regular updates on the football results (of course), the atmosphere was fabulous. We were therefore over the moon when the Award for ‘Best Use of Technology’ was announced with Dine Delivered as W I N N E R S ! The award is a true testament to the hard work of the entire team, and the fantastic suppliers and companies that have supported us in developing this new company over the past 12 months. We were also delighted for our friends at Rudding Park, who picked up the Accessibility Award – huge congratulations! 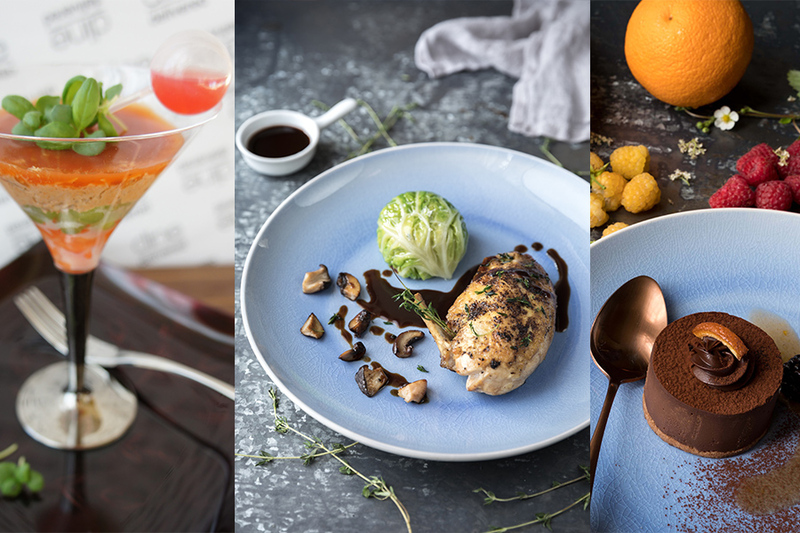 Dine Delivered launched in January 2018, offering an innovative, online platform for ordering event food and hospitality. Our system allows users to answer a few simple questions about their event before being presented with a bespoke menu. The system also matches wines & soft drinks to their menu, and all special diets are catered for, clients can even hire cutlery, linen and china through the portal. The finished order is then delivered to the door by DPD, or can be picked up in person at our collection point, The Mansion, in Leeds.